A new murder story is coming to Netflix. Today, the streaming service announced they’ve picked up a new mini-series based on Margaret Atwood’s novel Alias Grace. For the series, Netflix is partnering with Canadian broadcaster CBC and Halfire Entertainment. Published in 1996, Alias Grace is based on the real 1843 murders of Canadians Thomas Kinnear and his housekeeper Nancy Montgomery. Kinnear’s stable hand James McDermott and domestic servant Grace Marks were convicted of the killings, with Marks sentenced to life imprisonment. Sarah Polley is writing and producing the six-part series, which will begin production in August. Toronto, Canada – June 21, 2016 – Halfire Entertainment, CBC and Netflix announced that production will begin on Alias Grace, a six-hour mini-series inspired by the historical true story of convicted murderer Grace Marks and based on the award-winning novel by Margaret Atwood. The mini-series is being written and produced by Sarah Polley (Looking for Alaska, Take this Waltz, Away from Her) and will be directed by Mary Harron (American Psycho, I Shot Andy Warhol), with production scheduled to begin in Ontario in August 2016. Alias Grace will be broadcast in Canada on CBC and will stream everywhere globally on Netflix. The story of Alias Grace follows Grace Marks, a poor, young Irish immigrant and domestic servant in Upper Canada who, along with stable hand James McDermott, was convicted of the brutal murders of their employer, Thomas Kinnear, and his housekeeper, Nancy Montgomery, in 1843. James was hanged while Grace was sentenced to life imprisonment. Grace became one of the most enigmatic and notorious women of 1840s Canada for her supposed role in the sensational double murder, and was eventually exonerated after 30 years in jail. Her conviction was controversial, and sparked much debate about whether Grace was actually involved in the murder, or merely an unwitting accessory. “Sarah Polley wrote a stunning six-hour script, based on Margaret Atwood’s award-winning novel, and we are thrilled that CBC and Netflix have joined forces to co-commission this mini-series,” said Noreen Halpern, President of Halfire Entertainment. 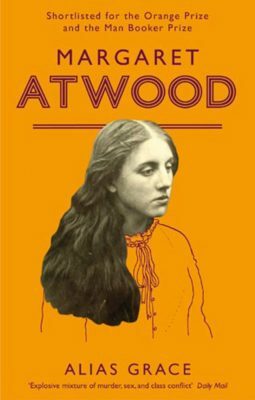 Both the screen adaptation and the Margaret Atwood novel on which the mini-series is based, introduce a fictional young doctor named Simon Jordan who researches the case and begins to fall in love with Grace. He soon becomes obsessed with her as he seeks to reconcile his perception of the mild-mannered woman he sees with the savage murder of which she has been convicted. Alias Grace will be broadcast in Canada on CBC and stream globally on Netflix. executive producers will be Sarah Polley, Mary Harron and Noreen Halpern (Aftermath, Working the Engels, Rookie Blue). Co-producing alongside Polley will be D.J. Carson (Spotlight). Polley was nominated for an adapted screenplay Academy Award for the 2006 drama Away from Her, which was adapted from the Alice Munro short story The Bear Came Over the Mountain. More about: Alias Grace, Alias Grace: canceled or renewed? I am thrilled that “Alias Grace” is becoming a miniseries! And with Sarah Polley doing the script too. I loved the book.